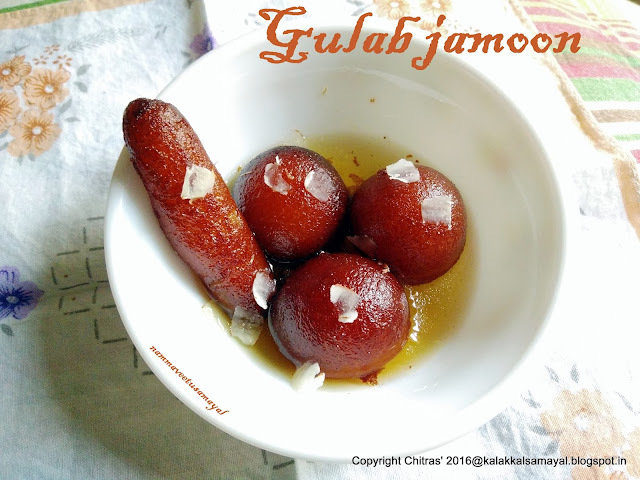 #GulabJamoon : #Jamoon is one of the most preferred sweets of all age group in India and definitely gets a special place in all festivities of India. My mom used to make jamoons from #paalkova - unsweetened #koya. There used to be a separate kadai to make paalkova in my home from fresh cow milk. She used to simmer excess milk of the day over a burner while preparing food. Then transfer into a dry tiffin boxes and allow them to stand for two to three days. She used to make fresh jamoons for evening snacks from koya adding little maida. The taste of those jamoons still lingering in my tongue. 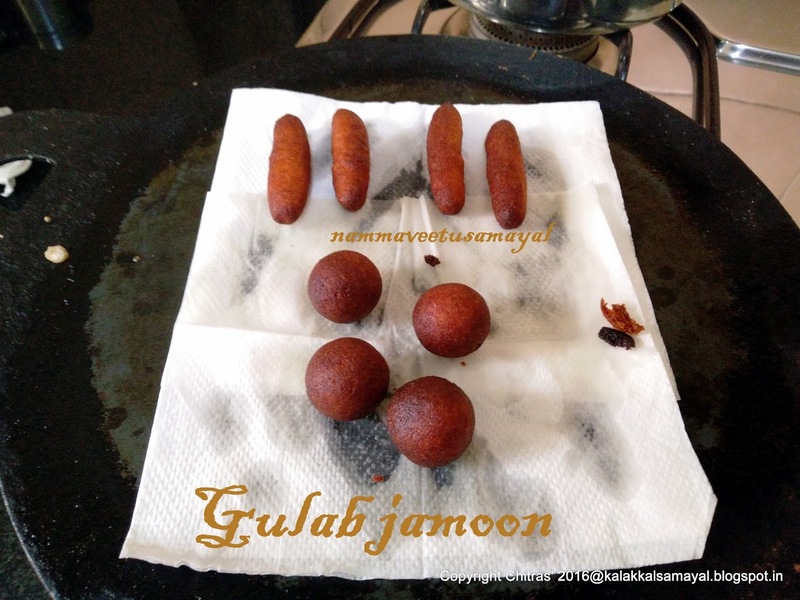 I have tried jamoons a few times from store bought kova. 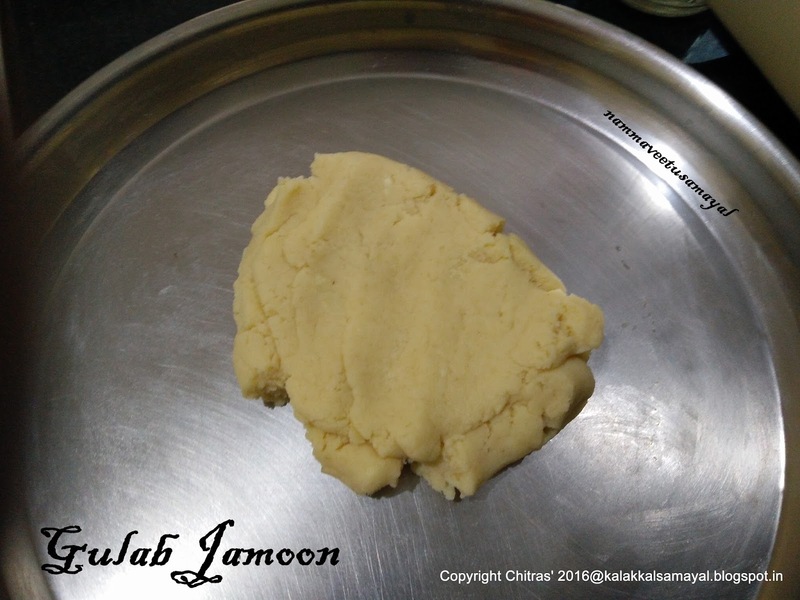 The jamoons made from koya never failed compared to instant jamoon mixes. The taste and texture is always very good. 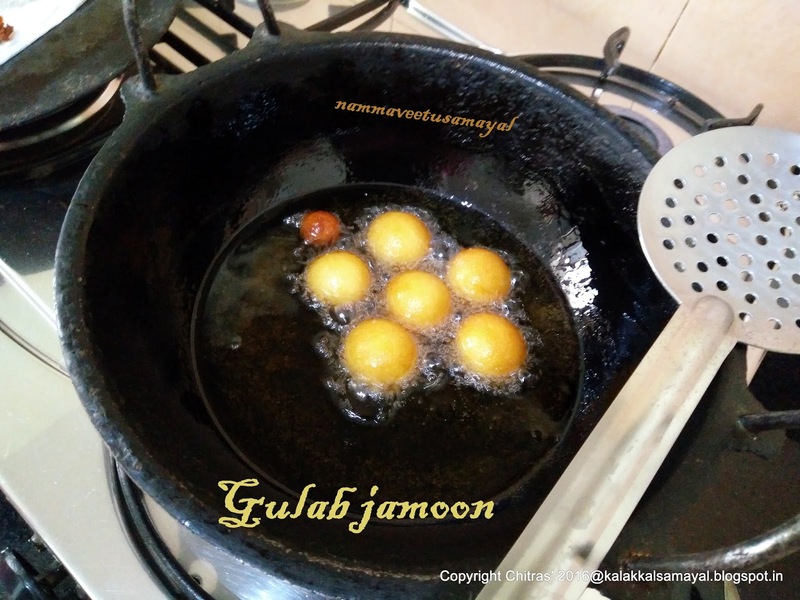 The method of preparing instant gulab jamun from the mix available in the market is very simple and easy to make. But most of the time it may not come out well. Jamoons would either become too soft or too hard inside. 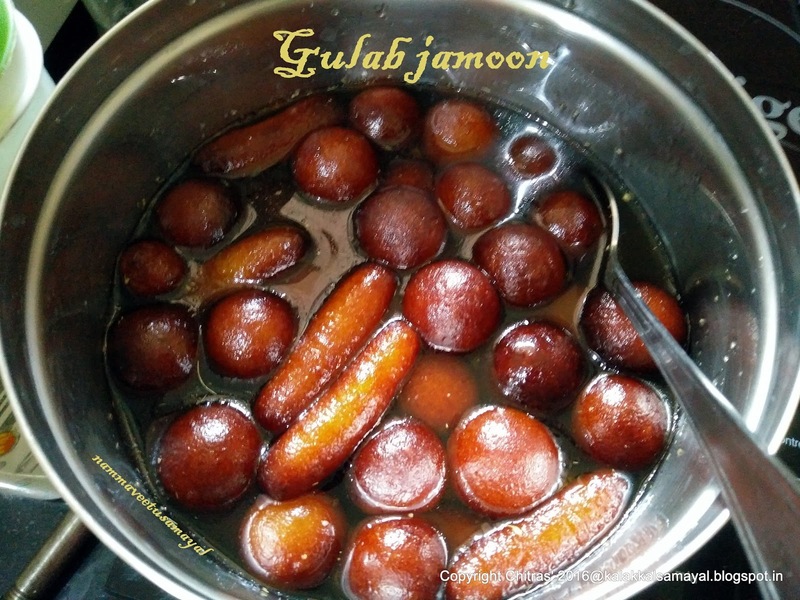 Here comes the method of preparing mouth watering gulab jamoons. Take sugar in a wide mouthed vessel and add 2 cups of water. Heat on a stove over medium flame. 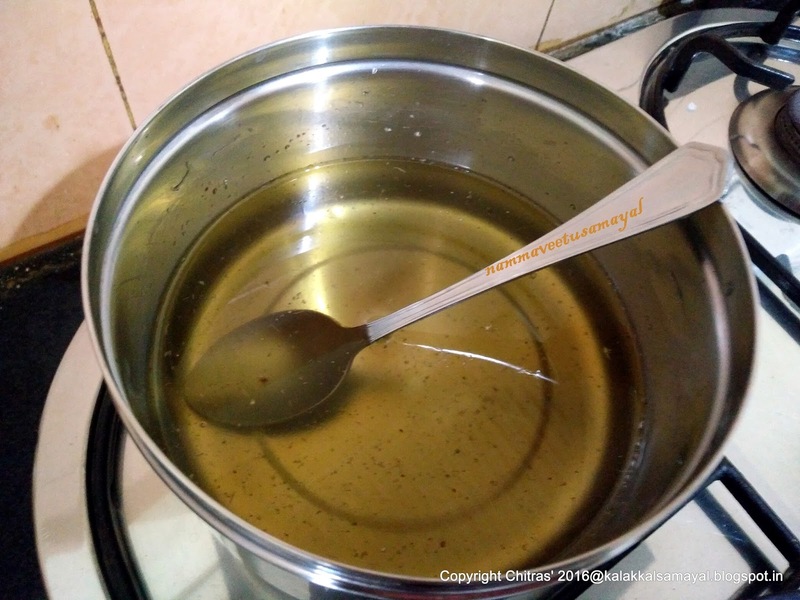 Keep stirring with a ladle until sugar dissolves and let it boil for 5 minutes. Now add cardamom powder, honey and rose essence. 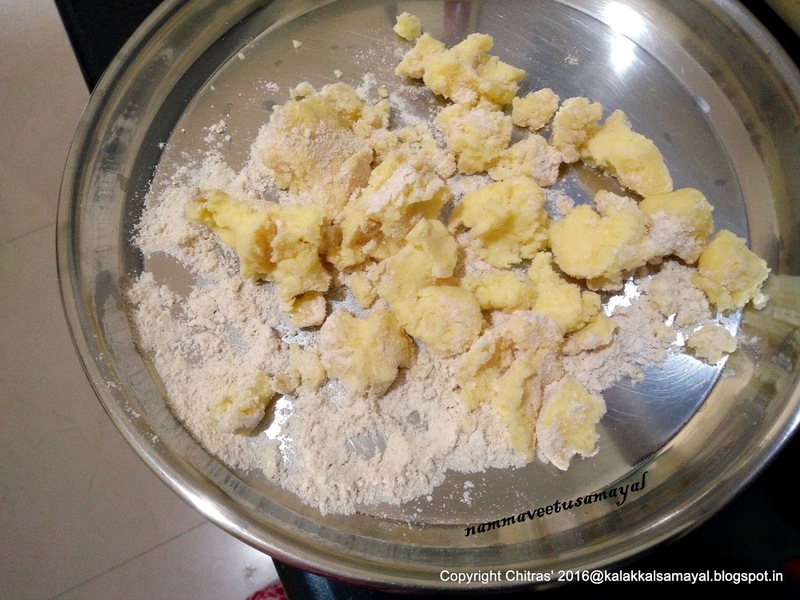 Take koya and wheat flour in a plate and knead well. Knead into a smooth and tight dough. 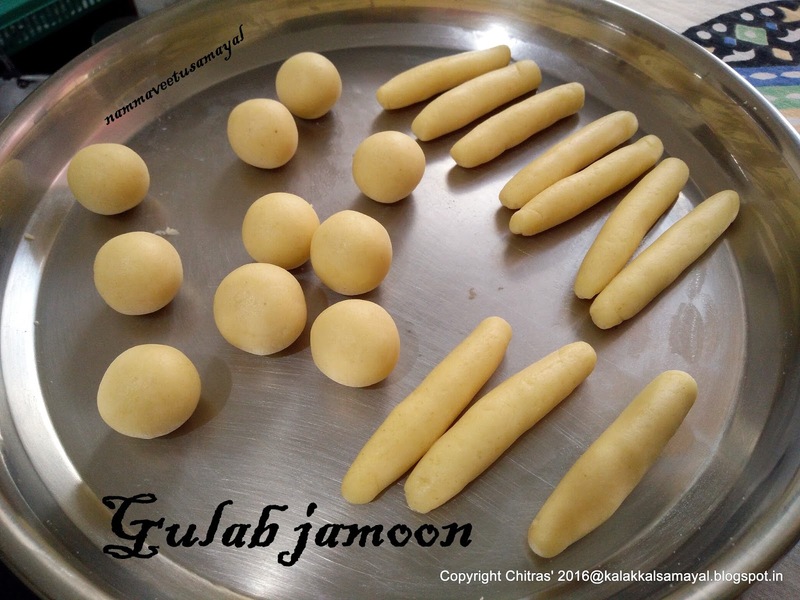 Roll into uniform sized jamoons either long cylindrical or spherical in shape. Heat oil in a kadai on a stove over low flame. 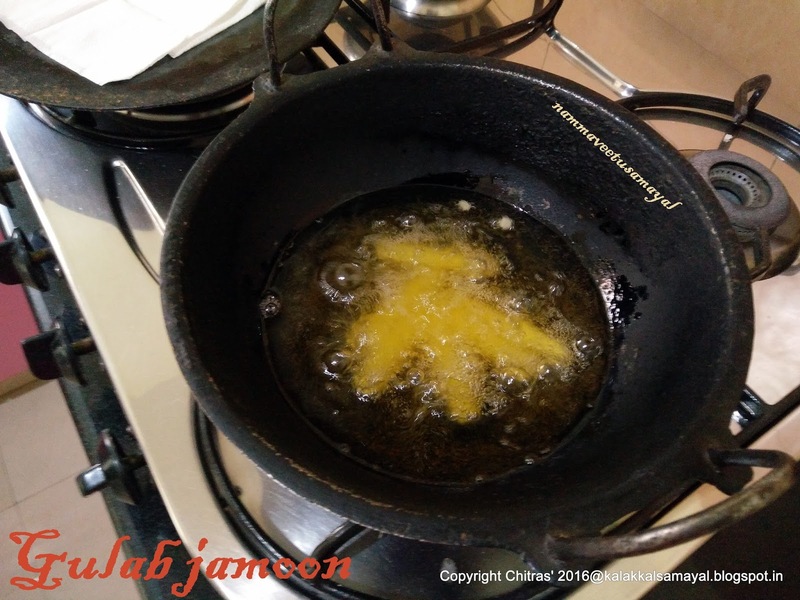 The oil should be moderately hot and when the jamoons are dropped into the oil, it shouldn't come to the surface of the oil immediately. Carefully agitate or create a swirl using a dry ladle and then slowly drop 5 to 6 rolled dough. The swirl prevents the dough from settling at the bottom of the kadai. 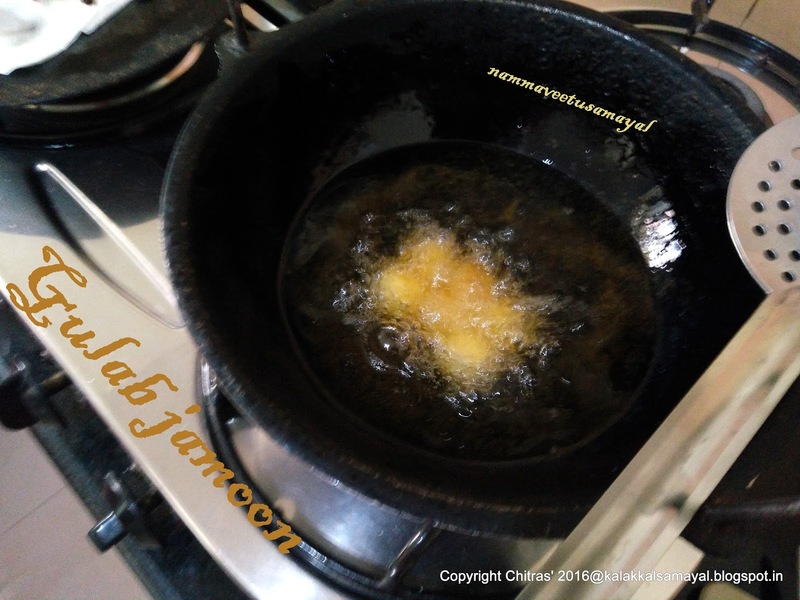 While frying the dough, it should stay inside the oil for one or two minutes before coming to the surface. By this way the dough gets cooked uniformly. Keep stirring or turning the frying jamoons with the ladle till it turns deep golden color. Transfer on to a plate lined with tissue paper. Then put into sugar syrup. 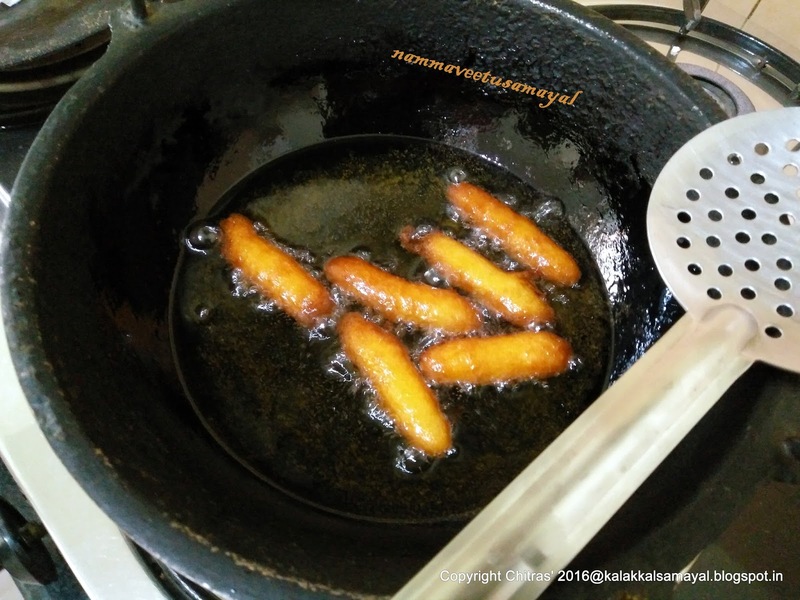 In the same way fry jamoons in batches and soak in sugar syrup. 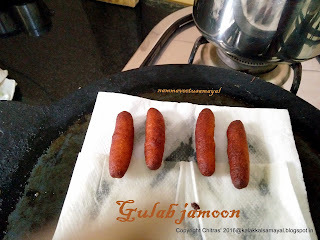 Allow the jamoons to soak well for 3 to 4 hours. Garnish with almond shavings and serve. Enjoy softy tasty tasty gulab jamoooons..